View our current wine offerings here. 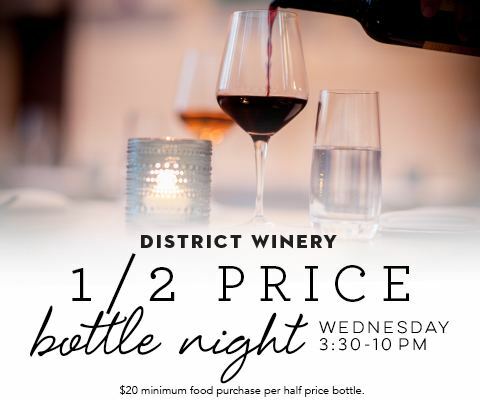 *$20 minimum food purchase per half price bottle. This offer is valid for dine-in only. Excludes library wines. Offer cannot be used for wine bottle purchases to go.